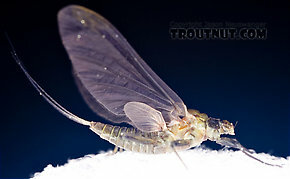 The Ephemerellidae are undoubtedly the most important family of mayflies for the American trout angler. Most species known as Hendricksons, Pale Morning Duns and Sulphurs belong to the genus Ephemerella in this family, while the genus Drunella lays claim to many Eastern and Western Blue-Winged Olives and the Western Green Drakes. Ephemerellids can be found in virtually any cold water habitat across the continent. A curious fact about this family is that the males and females often inhabit different parts of the stream. In many species, the males and females are of different sizes and colors, and your fly may need to match the dominant gender emerging from your stretch of the river. 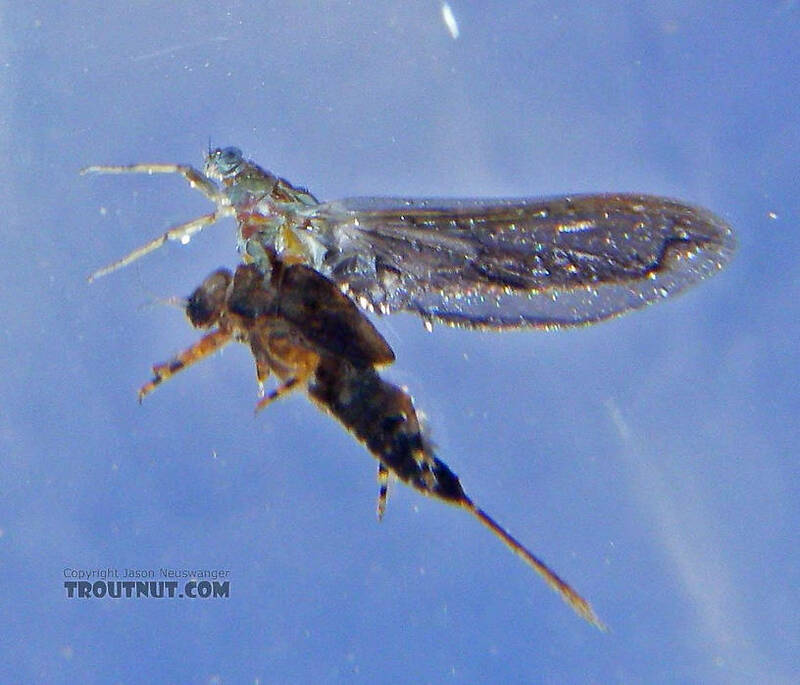 These are fantastic dry-fly insects. Behavior varies by species, but almost all have excellent qualities for the angler. 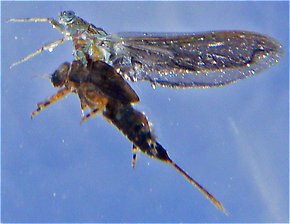 Most eclode laboriously in the surface film, where emerger and floating nymph patterns are excellent. Others before reaching the surface, making them good wet-fly fare. Some species have been documented to engage in both forms thus opening debate over whether these two styles of emergence are driven by genetics or environmental influences. They can also take a very long time to prepare their wings for flight once they reach the surface. 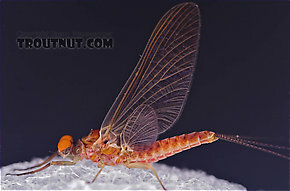 There they ride like miniature sailboats in the classic mayfly style, fluttering occasionally, and can be imitated by a plethora of upright winged dry fly patterns. 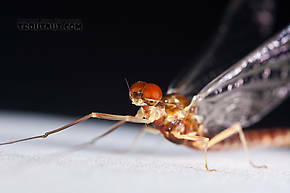 Stillborn: In fly fishing, a stillborn insect is one which got stuck in its nymphal or pupal shuck during emergence and floats helplessly on the surface instead of flying away. It is a specific class of cripple, although it is sometimes used interchangeably with that term.) or crippled, and trout are especially fond of this wounded prey and can be fooled by our crafty imitations. Most species return to the stream as spinners one day after they emerge. Spinner falls are usually concentrated over the riffles, but occur over selected stretches on waters lacking this feature. 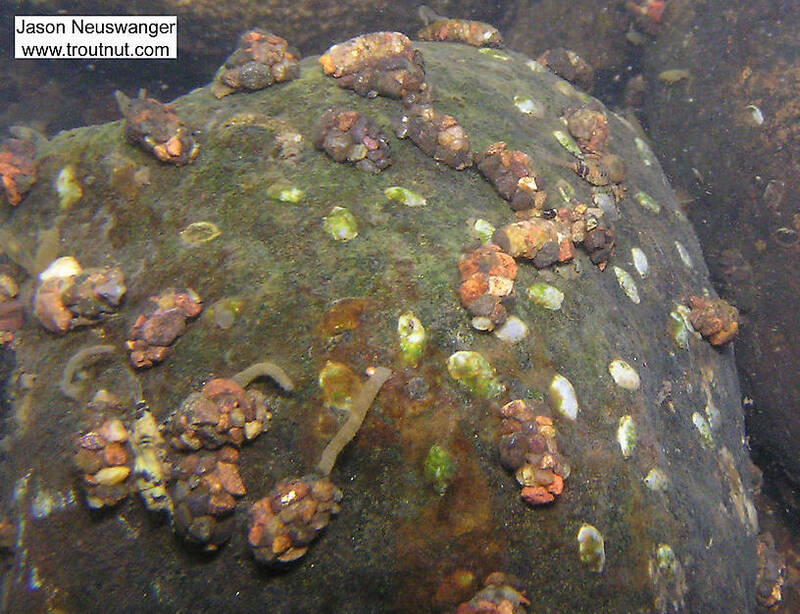 Nymphs of this family are a gift to the angler, because many have the peculiar habit of swimming up and down between the surface and the bottom several times before actually emerging. The actual biological purpose these seeming "practice runs" serve is open to debate, but they expose the slow-swimming nymphs to the trout. This behavior has been described by biologists as pulses of benthic drift, and they can do so in astounding numbers. They do the same near the surface as well. 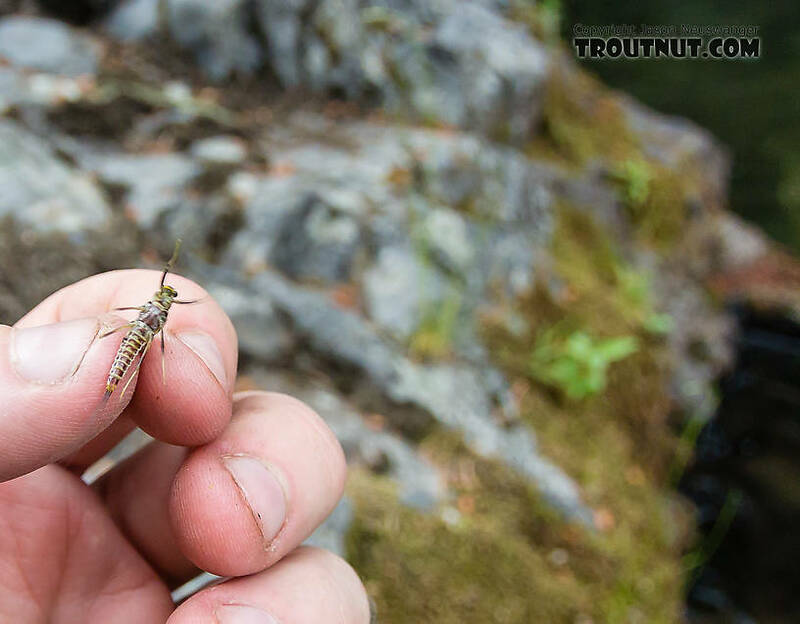 Several authors write that some of the nymphs crawl to the high tips of rocks and other objects prior to emergence, where they may be picked off their perches by peckish trout. During the spring months, they can often be found grazing in such exposed locations even when they aren't about to emerge. 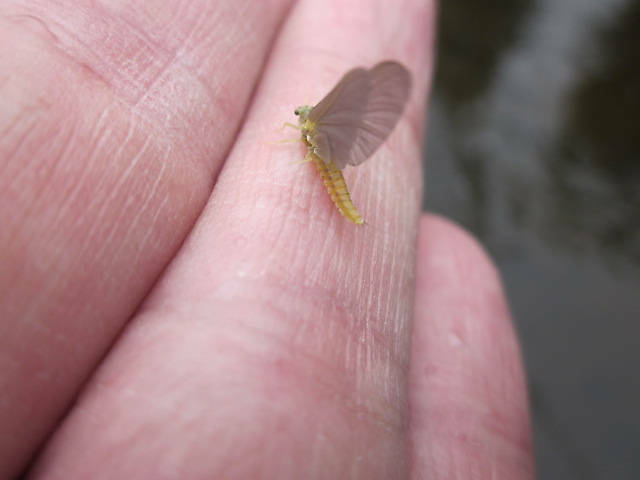 Between their tendency to be in exposed places and behavioral drift (Behavioral drift: The nymphs and larvae of many aquatic insects sometimes release their grip on the bottom and drift downstream for a while with synchronized timing. 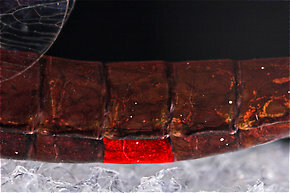 This phenomenon increases their vulnerability to trout just like emergence, but it is invisible to the angler above the surface. In many species it occurs daily, most often just after dusk or just before dawn. 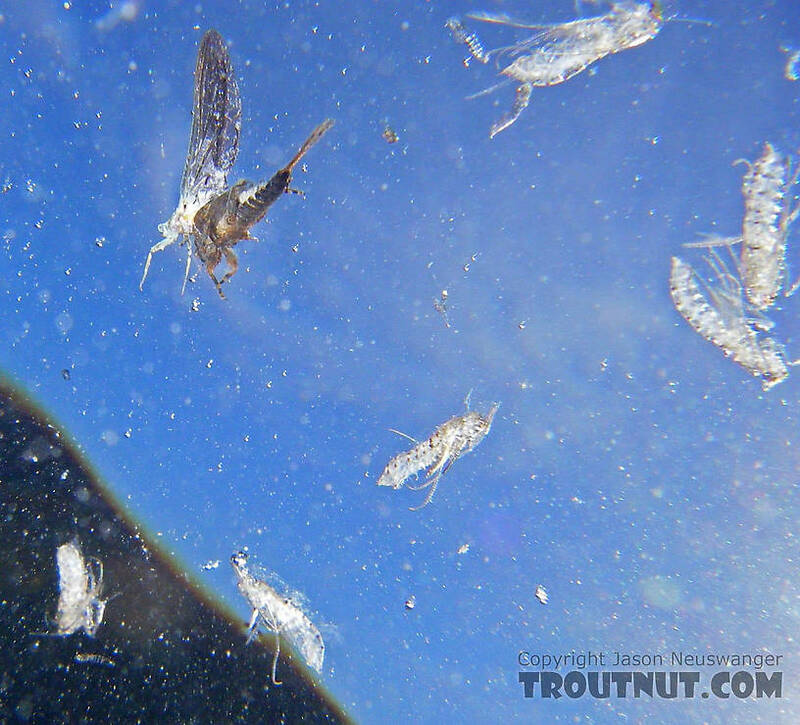 ), the nymphs of this family are important to trout year-round. Their imitations often prove successful anywhere in the water column. 4/21/14 - Fished the Brodhead today at the last park before last bridge on PA 191 - downstream of huge riffle section so is a great tretch for this species. I didn't get there until around 1:00 PM, took a nap and started fishing at 2:00 and there were still cornuta coming off sparsely but steadliy - until 3:30 PM. Sparse rises, but I was entertained. Is that normal or could it be because the water is unusually cold this year. Are the males and females of the same size or is one larger - and of slightly more pale coloration at take-off from surface? It almost looked to me to be two different flies, but I'm sure they weren't. There are 24 more topics.